Give your friends something comfy for sleeping or lounging, personalized with your name and party.. Constructed out of 3.5 oz. 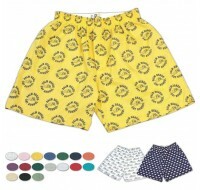 poly cotton fabric, these boxer shorts are perfect for use under cloth..
7 oz. 55% cotton / 45% polyester fleece. 3" in-seam. Silicone wash. Limited shrinkage. Raw ed..
Great new favors for your event!!! Bella + Canvas Ladies' Cotton Spandex Legging. 95% Combed .. Constructed out of 3.5 oz. polyester cotton fabric, these boxer shorts are perfect for use under ..
Just find your favorite themed design, choose an ink color and we'll add your name and mitzvah da.. 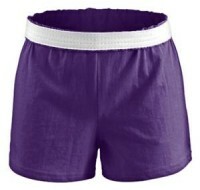 This quality cotton boxer comes in more than a dozen vibrant colors so you can find the one that .. These flannel pants are the ultimate winner in year-round style and comfort. ..
Take your style to a another level with this new Women’s thermal jogger pant! Featuring cotton th.. Awesome bottoms for running, jogging or lounging in style!! Be a hit when you give these as..
Made with sports-friendly micromesh, these shorts are durable, odor-resistant and include a comfo..
**Features front accent pocket, stylish cuff, and 2-button false fly **Satin tie and inner-wa.. 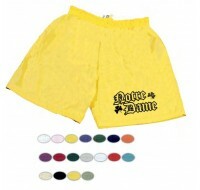 The cornerstone of the Soffe Dri collection, the Soffe Dri Short has low-rise compression that’s .. This crowd favorite moisture wicking Soffe Dri capri features low-rise contrast waistband on new ..